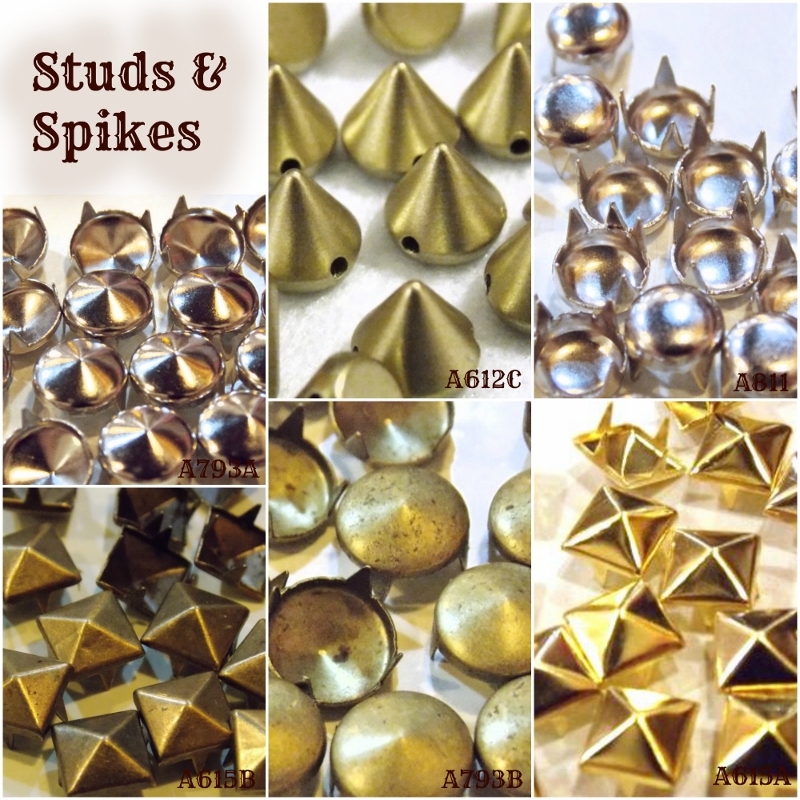 Studs & Spikes available in our shop. Use these for embellishments onto headbands, clothes, shoes, bags, accessories. 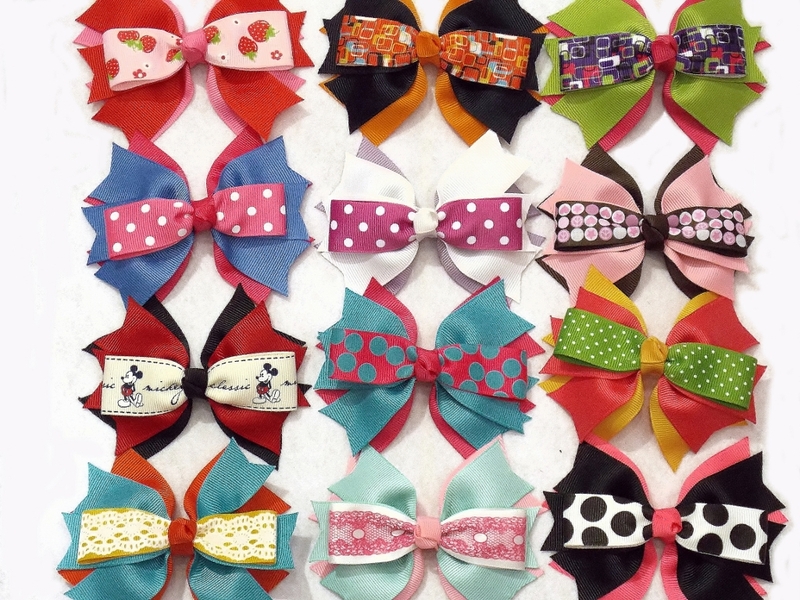 AF251 Bows with Spikes 10.5x9.5cm made with Grosgrain Plain and Printed Designs. These ready for embellishments onto headbands. Choose your colors and we will custom make for you.